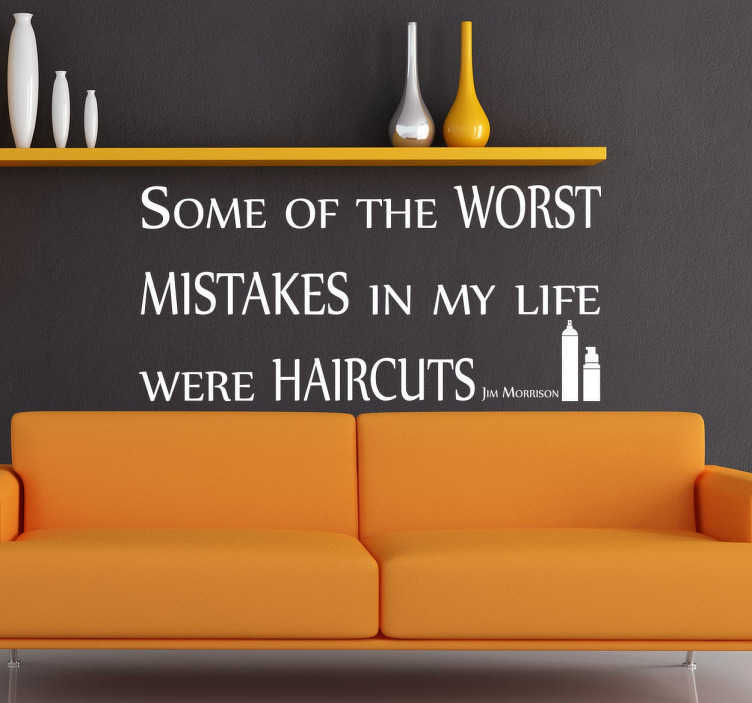 Wall Quote Art - Fashion - Quote by American musician Jim Morrison, "Some of the worst mistakes in my life were haircuts” . Great for those who have a passion for fashion and style. Available in various sizes and in 50 colours. Made from high quality vinyl. Easy to appy and remove.